Mary found a sliver chipped from the outside edge of a Corelle dinner plate, which provides an opportunity to see something that’s normally invisible: the ceramic layer inside its glass coating. Overall, the sliver is nearly two inches long and about the same width as the plate is thick. 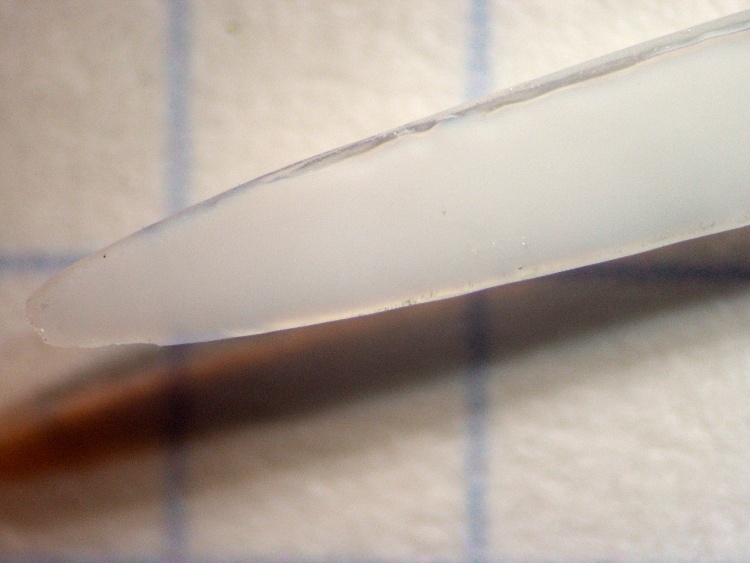 Peering through the microscope at the left end, the glass layer is most obvious along the top edge. You can barely see it along the bottom, where the chip thins to a razor edge. The ceramic has a slightly higher coefficient of thermal expansion than the glass, so it puts the glass under a tremendous amount of compressive stress as the newly manufactured plate cools. Glass is really strong in compression (and terribly weak in tension), so the plate becomes remarkably hard to break. More details there and there. The plate rims do tend to chip, however, if you own them as long as we have. These are the long-discontinued Old Town Blue pattern: over three decades old by now. Oddly, they’re still under warranty: back in the day, Corning sold its then-new Corelle with a Lifetime Warranty. Nowadays, you get three years for the mid-grade line, five years for thicker plates, and a mere one year for stoneware (whatever that is). I suppose enough people actually took them up on the warranty to make it economically impractical. This entry was posted on 2010-01-12, 07:47 and is filed under Home Ec, Oddities, Photography & Images. You can follow any responses to this entry through RSS 2.0. Both comments and pings are currently closed. Glass is tricky stuff. I’m not going to directly contradict your statement about glass in compression and tension, but glass *fibers* are stronger than steel in tension, and really lousy in compression. Glass gets stronger as it gets thinner, because there are less flaws. There’s a mechanical engineering term for this but I can’t remember what it is. I had no idea that Corelle was stressed via multiple layers of different TCoE. That’s really cool. 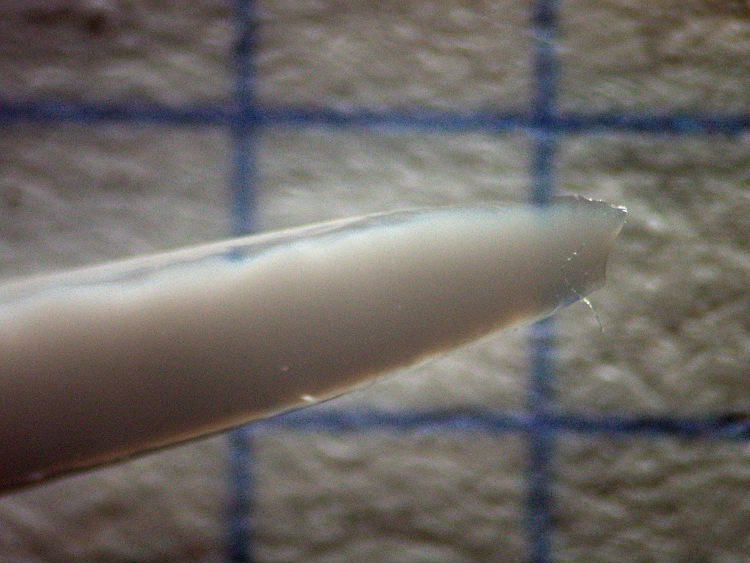 But that’s why we go to all sorts of trouble to moosh epoxy all around the glass fiber mat (or the oriented fibers in fancy lay-ups), with plenty on the surface. The epoxy doesn’t do jack for tensile strength, but it keeps the fibers from getting nicked: one good gash and they’re toast. There’s a mechanical engineering term for this but I can’t remember what it is.